Burgers, Hot Dogs, and Fries, O MY!!! I just received some very exciting news and felt the need to share it with the world. Willies Burger Stop, in Clinton, Freeze King, in Seaforth, and Woodlands in Bayfield are officially open for the season!!!!! I am still unsure about Sky Ranch just outside of Goderich, but being the detective that I am I will find out asap! This is how I know spring is here, all my favourite drive in burger shops are open. My mouth is watering just thinking about pizza rolls and spicy fries! 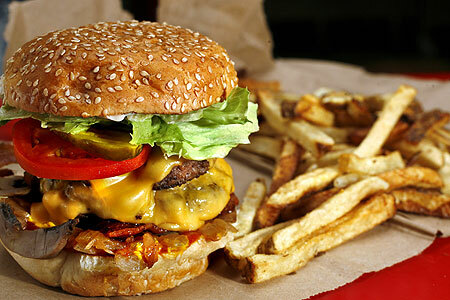 Its Friday, and its almost lunch time, drop what you are doing and go get a double bacon cheese burger, you deserve it! !